Both Democrats and Republicans continue to blame the other side for the impasse, yet negotiations appear to be slowly taking shape  a group of Democratic lawmakers met with the President at the White House earlier this week. Another meeting was held at the White House between the President and Republican lawmakers. At this point, it appears likely that negotiations to fund the government will get tied to the looming debate on raising the debt ceiling. If the debt ceiling issue is not resolved by October 17, the U.S. Government will default on it loan payments as well as other obligations - which would be both unprecedented and potentially disastrous for the economy as well an entitlement programs such as Medicare, Medicaid, and Social Security. Under the proposal, the six-week extension would allow for talks on a broader fiscal package that could enact changes to entitlement programs and the Tax Code, fund the government, and lift the debt limit for a longer period of time, according to GOP sources familiar with the Speakers plan. 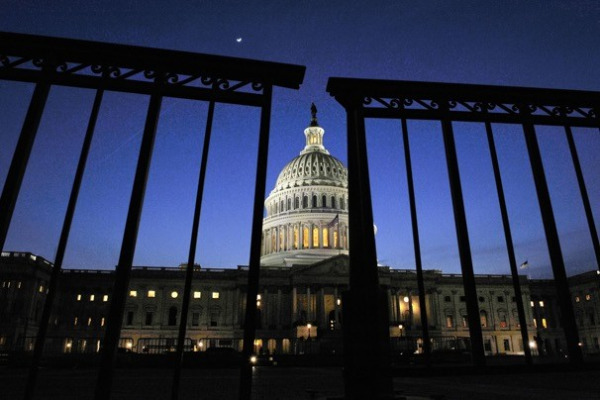 The government shutdown would, however, remain in effect and negotiated separately. Of most pressing concern for the home care and hospice community if such a Grand Bargain approach is taken would be any provisions to entitlement reform  particularly to Medicare. During the last round of negotiations for such a Grand Bargain  which ultimately faltered - many of the recommendations from the Simpson-Bowles Commission were included. NAHC has long opposed many of the Simpson-Bowles recommendations  including additional cuts to Medicare funding and the imposition of a uniform 20 percent copay across all Medicare sectors, including home health and hospice. For home health, this recommendation would mean a copay of approximately $600 for a 60 day episode of care. For the typical stay in hospice, it would mean a copay of approximately $2,300. The President in his budget proposed a $100 copay on home health episodes not preceded by a hospital or nursing home stay, beginning in 2017 for those beneficiaries who become eligible for Medicare in 2017 or later. The President also has proposed a 1.1 percentage point cut in the inflation update for post acute payments over the next ten years, including home health. With so many Congressional developments that could impact home health and hospice on the immediate horizon in Washington, it is vitally important that members of NAHC attend this years annual meeting in Washington and join in the home care and hospice community lobby day on Thursday, October 31. Please see NAHC Report from October 8 for more details. To register to attend NAHCs Annual Meeting, please click here.